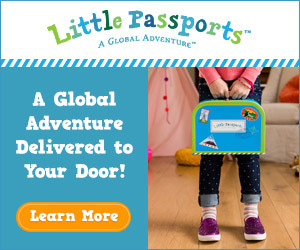 Themed birthday parties with everything matching with the theme are really a great way to entertain a kid. But, sometimes it is not easy to find all the party items to match with the theme. It was same with me when my kid was turning three. 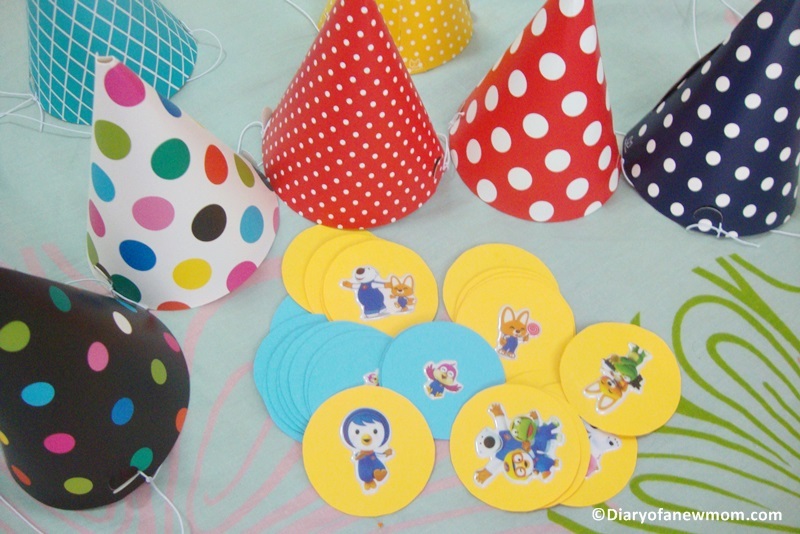 I couldn’t find party hats that are perfect for Pororo themed birthday. Although there were birthday party hats with different prints on it, I didn’t want to mix such designs with our theme. So, here is what I did. It is really simple. How to make DIY birthday party hats for a themed birthday party? 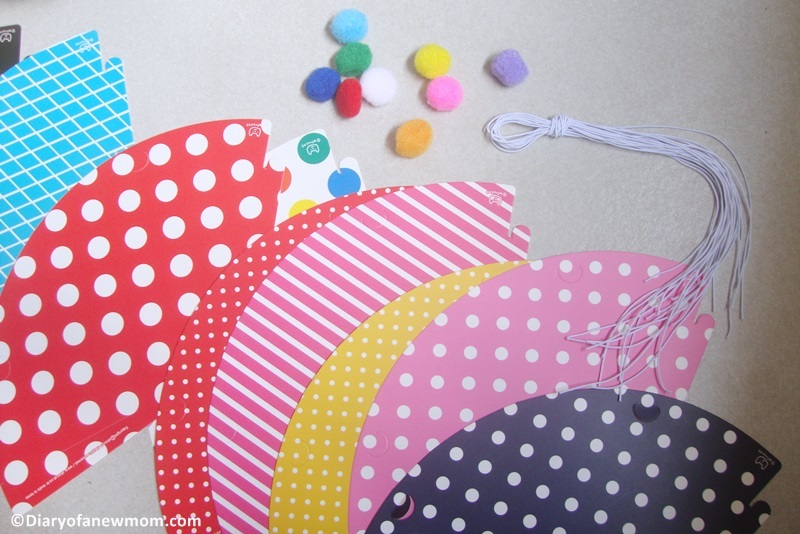 I ordered DIY birthday party hats set which comes as a set of materials that are necessary for making the hats. 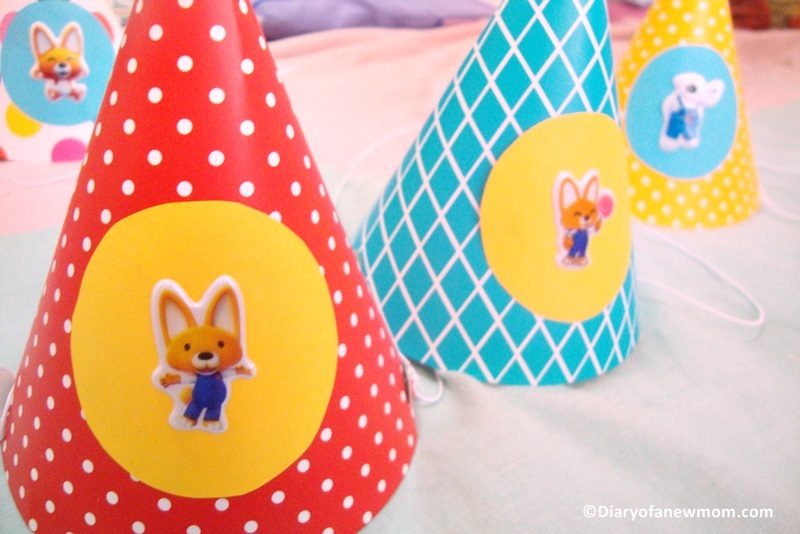 You can easily find a template for party hats if you like to do it completely DIY. Also check this post for how to make a party hat easily. Using the cardstock, I made the party hats without any decorations. Then I glued the pom poms on top of the hats to make those beautiful! To add the touch of party theme, I ordered stickers of our theme. 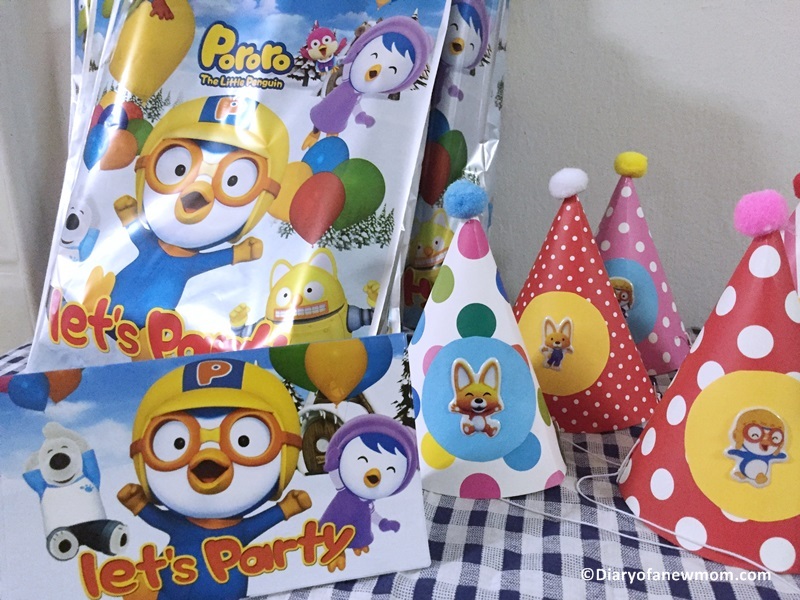 That time it was a Pororo Birthday party. 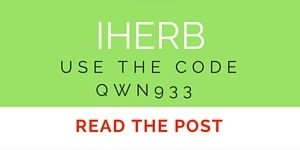 If you have a different theme, try to find stickers related to your theme. Using colorful papers and stickers, I made these circles. Finally I pasted those on the party hats. 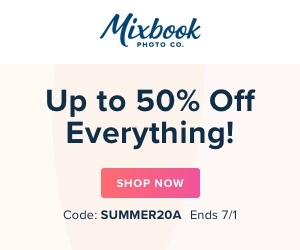 Aren’t these cute and match with our theme?